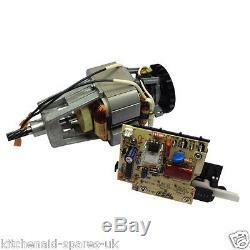 Kitchenaid Stand Mixer Motor Assembly 220V and a. 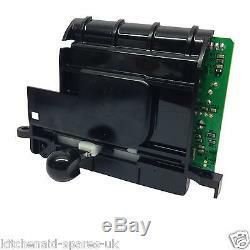 Speed Control Module 220V PCB With A Black Lever Kitchenaid Part Numbers WP9706651 and. The Module also known as. Can only to be used with the Johnson Motor. The Motor Assembly Fits Models... Can be used on the following models when converting to 220V. 4KB25G, KB26G1X, 4KD2661, 4KG25G, 4KG25H, 4KN15, 4KP26M. KD2661-3 WL46, KD2661, KG25G, KG25H. KP2671-3 WL46, KP26M1, KP26M8X, KT2651-3 WL46, KT2651, KV25G0X, KV25G, KV25H0X and KV25MCX. The board has had a upgrade modification to run from 110V to 220V. The item "Kitchenaid Stand Mixer 6QT Motor Assembly & Speed Control Module 220V KL26M1XER" is in sale since Thursday, January 19, 2017. This item is in the category "Home, Furniture & DIY\Appliances\Small Kitchen Appliances\Stand Mixers". 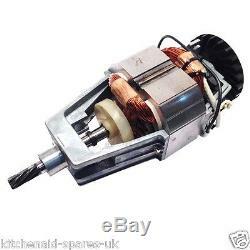 The seller is "kitchenaid-spares-uk" and is located in Huddersfield. This item can be shipped worldwide.